As a "professional blogger", I'm sitting in front of a computer now more than I ever have in my life. I wish there was a more mobile way to do this job, for I'm already starting to experience some new injuries that I know are directly related to my computer time. In talking to my doctor afterwards, she told me that it was probably my poor posture in my office chair coupled with the quick movement of getting up that caused my back muscles to spasm. 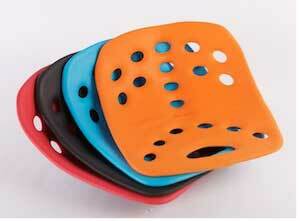 The spasm was designed to protect my spine from any serious injury. Lesson learned...watch your posture in order to protect your back from injury. 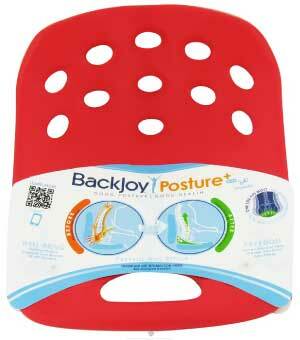 BackJoy Posture + is an orthopedic seat cushion designed to improve your life and health by improving your posture. Keep reading to learn more! I reviewed the Posture + in Red from BackJoy, which retails for $39.99, but is currently on sale for $38.35 with FREE SHIPPING. Get a FREE pair of Comfort Soles with any order of a Posture + as well as FREE SHIPPING on any purchase $50+ with coupon code "may12"
The BackJoy Posture + is a preventative everyday seat enhancement that helps people sit more comfortably and correctly, improving posture, strengthening core muscles and avoiding life-limiting back problems. BackJoy Posture + contains patented Applied Postural Science (APS) Technology that automatically tilts, cups and floats the pelvis upright so you can find your most balanced and comfortable posture. The product facilitates Dynamic Sitting, automatically adapting to movements, to provide constant strain-free comfort and optimal posture. BackJoy Posture + is constructed with Advanced Core Material. This long-lasting durable material allows the device to not only retain its shape after long-term use, but allows Posture + to work on any surface, soft or hard. It's also designed for any person with a weight ranging from 120 pounds to 300 pounds. You know how important your core is, but when you sit your core is not engaged. Posture + dynamically supports your pelvic floor to help engage your core. 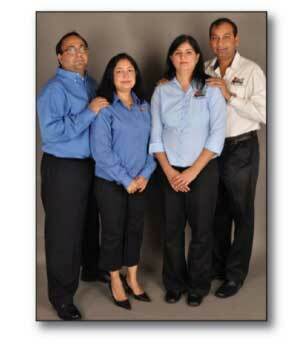 With natural support, you will feel comfortable, stronger and less fatigued after sitting for long periods of time. Thanks to the BackJoy Posture +, you can prevent and repair pain and injury, sit better, feel better and have more energy overall. Personally, I was really surprised at just how well the BackJoy Posture + seat enhancement cushion worked. The key to remember when using it is that you must sit ON TOP of it. That means that the entire cushion should be under your bottom with your cheeks being cupped in the hollowed out region of the Posture +. In order to get the desired fit, you might have to move around a bit and adjust the Posture + until you use it a few times and understand how it should be positioned. Once it's in the right place though, you'll know it for your spine will be perfectly straight without any extra effort on your part. As a matter of fact, once I was seated correctly on the Posture +, I experienced a lot of discomfort if I slouched forward. It was absolutely comfortable though to sit with good posture and so this is what I did. The BackJoy Posture + ensured that my posture was correct for a whole two hours while I wrote a blog post and it felt comfortable the entire time. For some reason though, my husband who has had bad back problems for as long as I've known him, didn't think the Posture + did anything for him. He tried and tried to sit on top of it correctly and yet he claimed that he still wanted to slump his shoulders. Personally, I think my husband was being a tad impatient and if he would have adjusted himself a few more times on the seat, he would have found the "sweet spot" where his spine would have followed its natural curve instead of slumping forward painfully. According to Ken Baldwin, M.Ed., CPS, and Executive Director for the National Posture Institute, we spend most of our waking lives sitting, yet it is not a natural position for the human body. This leads to poor posture for many and back pain for an estimated 80% of Americans. Get Support – Take advantage of the tools available to help you achieve proper posture, such as BackJoy Posture+, a preventative everyday seat enhancement that improves posture and strengthens core muscles. Work Your Core – Look for workouts targeting your core muscles, such as the exercise movements in NPI's Resistance Training DVD Series, Pilates, Yoga and Essentrics. Correct Your Cube – Subtle fixes can go a long way in the office environment. Start by adjusting the height of your office chair so that your hips are slightly higher than your knees; next shift your keyboard and computer monitor to be directly in front of you, with the monitor at eye level. Disclosure: I received the Posture + in Red from BackJoy in order to facilitate my review. No other compensation was received. This product review is based on my own personal experiences with this item and is completely honest and objective. If you sit for long periods of time each day, do you use anything to support your lower back and help keep your spine straight? Pingback: Top 5 Exercises You Can Do at Your Desk ~ Improve Your Fitness and Health By Working Out at Work!